I’m one of those people who has a sensitivity to pine nuts. It’s not so bad to have stuff that may have been in contact with them but if I eat them, well…it’s just not a happy time. So, for the longest time pesto was something I eyed with longing and dread. Then one day years ago I made my own, but with different nuts. There was dancing and rejoicing far across the shire. Pesto was once again a tasty thing to be had again. I have done it with walnuts, pecans, and almonds but so far my favourite has to be this newest version with pistachios. Pesto is chock full of nice and healthy ingredients but sadly so full of fats. It’s those fats though that are giving us those healthy benefits so they stay. This is one of those things to be enjoyed in moderation. Pulse the pistachios to the desired texture in a blender. Add the remaining ingredients and blend until a paste or sauce forms. Makes 4 servings. Each serving contains 92 calories, 8.3 grams of fat and .9 grams of fibre. To help metabolize a lot of that fat you can add a clear dissolving fibre supplement to the mix without any loss of taste or texture. 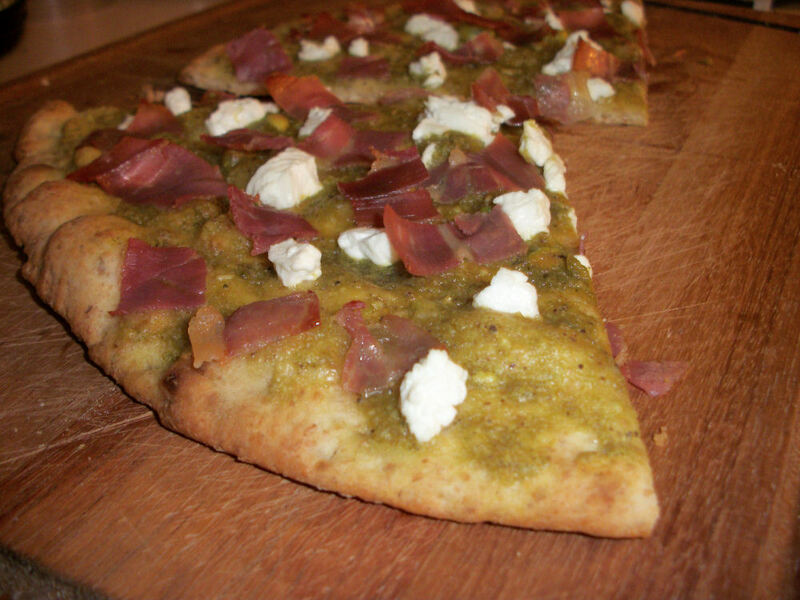 This pesto is great tossed with angel hair pasta but my favourite is serving it as a flatbread topped with a nice light goat cheese and prosciutto. There are some really great high fibre flat breads out there or you can make this using some of the dough from the deep dish pizza crust recipe. This entry was posted in Dinner, Ingredient, Lunch, Sidedish and tagged avocado, Basil, Cheese, Garlic, pistachio, vegetarian. Bookmark the permalink. 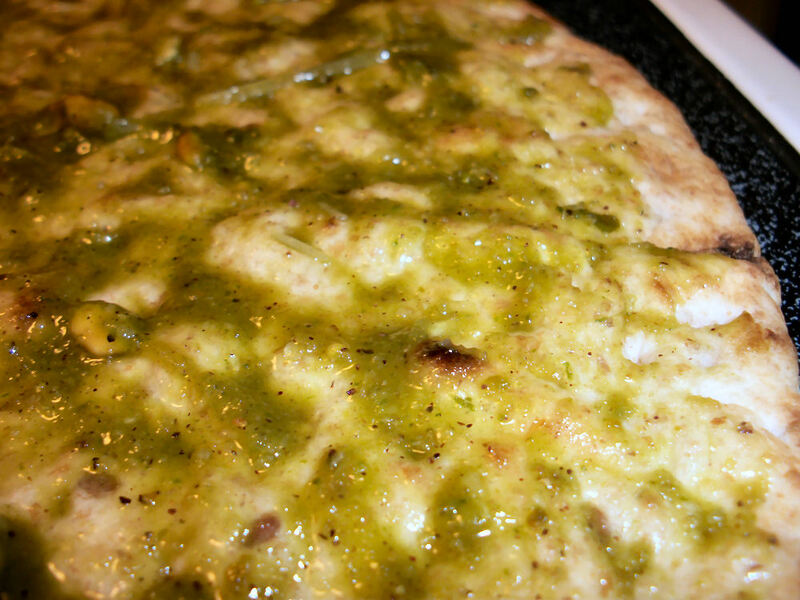 Pesto is so yummy…love it!